You already have a toothache. There are no ifs, ands, or buts about that. However, you don’t really know what to do now that you’re in pain. Do you just do your best to practice “mind over matter” and to ignore it? Do you load up on pain medication, so you can just forget about it? 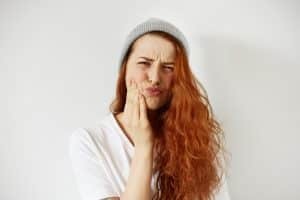 Do you assume the worst and immediately schedule an emergency dental visit? Before you worry yourself too much, we suggest you take a rest, breathe, relax, and consider answers to some frequently asked questions. Question: My toothache isn’t very bad but it is definitely there and it’s not going anywhere. What should I do? Answer: You should call us. Fill us in on your symptoms and we will schedule a visit for you to see us as soon as we can fit you in. Then, keep yourself comfortable with cold compresses as well as over-the-counter medicine for pain relief. Question: My toothache showed up suddenly and then left. I’m not sure what happened or what I should do. Now what? Answer: Keep an eye on your tooth for about 48 hours. If the pain comes and goes or show ups and stays, give us a call. If it doesn’t make another appearance, it may be fine. We can take a look during your next dental exam. However, if pain occurs again at any time before then, it’s a good idea to schedule a visit with us just in case. Question: My toothache is serious. What do I do? Answer: When you’re dealing with some over-the-top, contact us right away. You need an emergency dental visit! Remember that we are here to help you with all of your tooth concerns, from mild discomfort to the need for urgent care! Get the information and treatment you need in Celina, TX by contacting Celina Family Dentistry to schedule a visit today at (214) 851-0130.